Tony Tesciuba is the director of Tesciuba Limited. 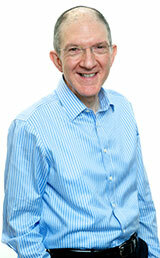 He has been helping clients since he qualified as a chartered accountant in 1982. In 11 years with Price Waterhouse, Tony trained and was later a senior manager in their audit and business services division in Manchester and London. Since then, Tony has been a partner in leading regional firms until setting up his own firm in 2001. Educated at MGS and LSE, Tony is married with four children. He enjoys running, music and family outings. In addition to traditional accounting and tax services we also provide advice on how to improve and develop your business. Whether you need an integrated business strategy, access to new finance or specialist tax advice we are here to help you achieve your goals. Drawing on his real world experience, Tony Tesciuba acts as SJE or party expert witness in a range of litigation cases. * Tesciuba Limited is not authorised under the Financial Services and Markets Act 2000 but we are able in certain circumstances to offer a limited range of investment services to clients because we are members of the Institute of Chartered Accountants in England & Wales. We can provide these investment services if they are an incidental part of the professional services we have been engaged to provide.